"So, here we are again..." goes the opening line of the lyrics on this album. Indeed. Although my MP3-organizer app won't forgive the band for naming their latest LP the same as their first EP, it is quite appropriate for them to do so, as this is in many ways a complete reboot for the band -- the first album with neither the guitar and songwriting of long-gone Chris DeGarmo nor the voice of Geoff Tate, who now claims the name of "Queensrÿche" for his own band. And regardless of what the courts and market say which band is the "real" Queensrÿche in the future, this album conclusively proves that the Todd LaTorre-fronted version can survive, and even flourish, without either of their two high-visibility former members -- because Queensrÿche is better than anything the band has put out since Promised Land at the very least. The first thing that one notices on Queensrÿche is something that we haven't heard a whole lot of from this band for the last twenty years: Glorious, heavy, progressive...metal. 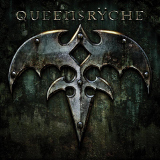 Queensrÿche finally feels like a prog metal band again, with the guitars alternating between ringing, clean guitar and a tight distortion that sounds modern but still keeps a lot of the tone they used in the late 80s. Where Dreams Go To Die and Spore, both fairly complex rhythm/melody tradeoffs that give LaTorre lots of room for highs and lows, are both enjoyable and provide plenty of the hallmarks of the Queensrÿche sound, but Redemption and Vindication (similar both in name and musical style) are more interesting to me, as they show that the band is still willing to take risks and try a few different things without trying to copy their earlier success. They both have a low, heavy verse without much melody, a sweetly melodic chorus...and LaTorre raps on Redemption, which sounds, when I describe it, like that would make it horrible; but it not only works, but sounds pretty good. Incidentally, it's very difficult to find fault with LaTorre's vocals. He has a voice that seems made for 80s-style heavy metal (one of the reasons I suspect that he was originally brought on with Crimson Glory), and his singing style on Queensrÿche displays a range that is every bit the equal of what Tate was capable of during the band's best years. In fact, many times it's hard to tell the difference, which might disappoint some listeners who wish to hear a different type of vocals now that Tate's gone, but the similar vocals work in the band's favor, as they keep the signature Queensrÿche sound while still sounding fresher and newer, a freshness that pervades the whole album. Tracks like Don't Look Back and Fallout, two of my favorites, are crisp and heavy, and even A World Without, an echoing, clean-picked tune with some whispered female vocals that sounds suspiciously like a rework of something they would have done during the DeGarmo years, has a great melody that showcases each member's considerable ability. One thing, however, to be regretted is that the album is not that long, only about 35 minutes; it would be nice to have some more of what they are delivering here. This album goes a long way towards restoring Queensrÿche's credibility as musicians and songwriters, let alone as a metal band. After the disaster of Dedicated to Chaos, it's hard not to take any positive effort as a good sign; Queensrÿche vastly exceeds one's hopes. It's unlikely that it can measure up to classics like Operation Mindcrime or Empire, but finally we have a modern Queensrÿche album the band can be proud of.